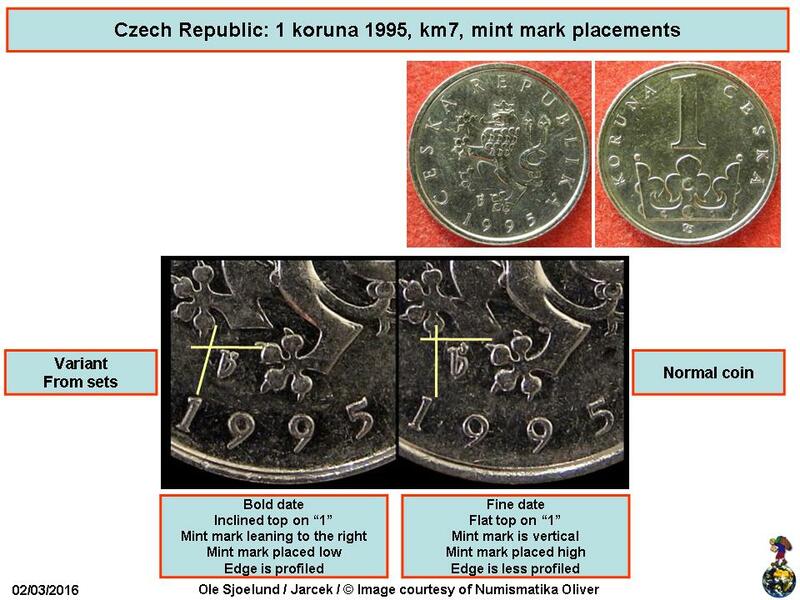 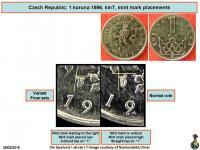 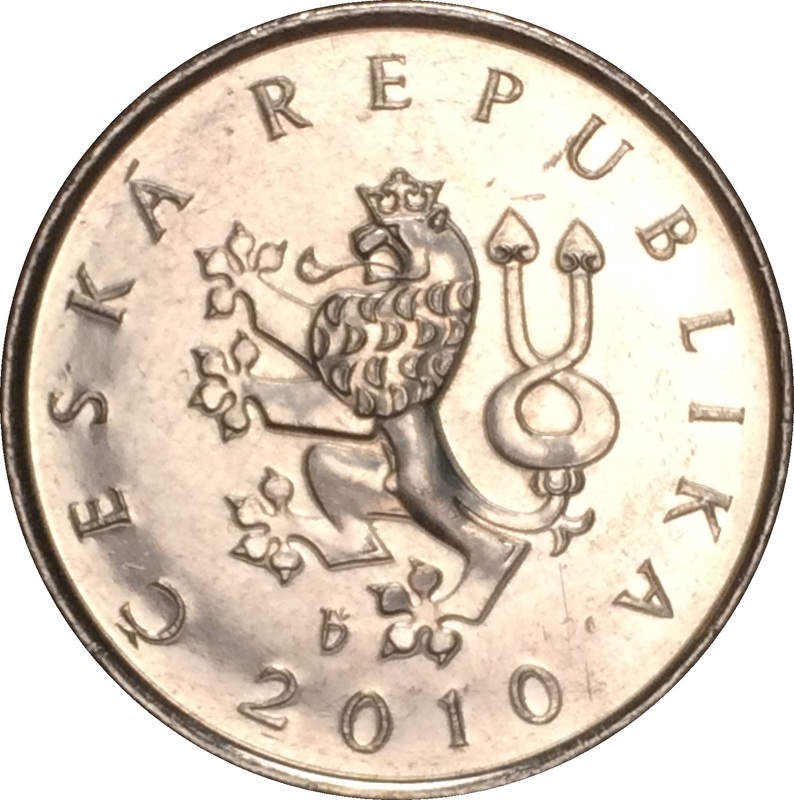 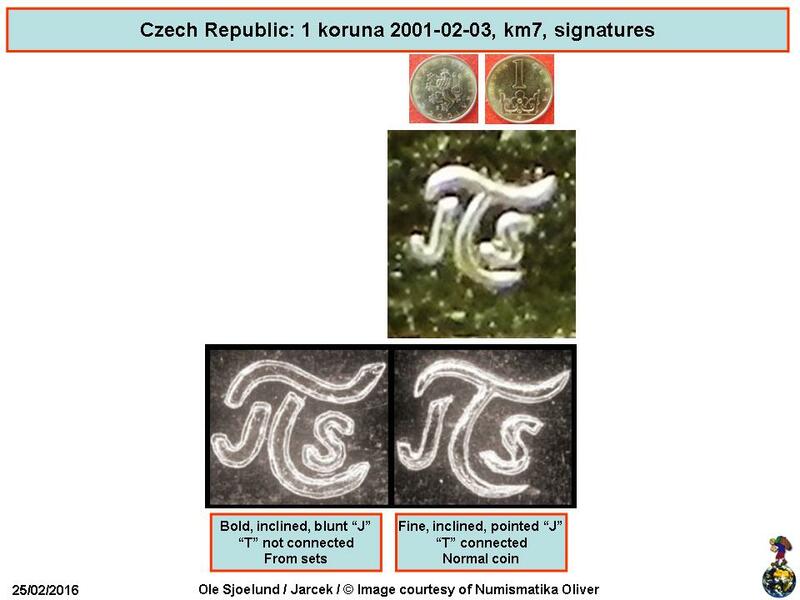 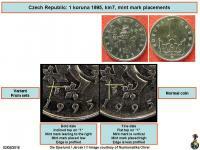 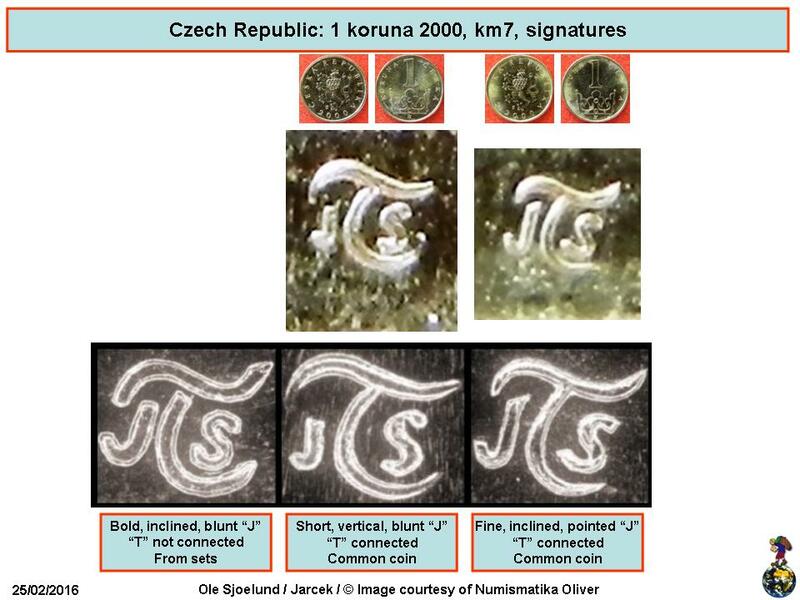 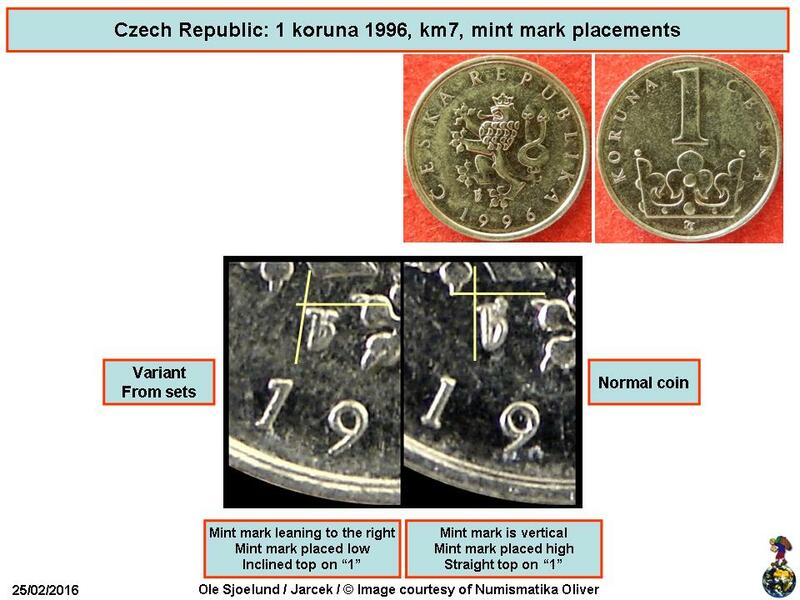 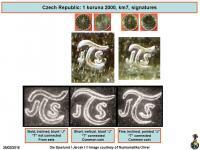 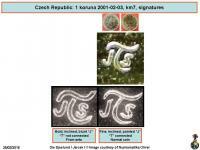 The Czech lion, mintmark between legs of the lion. 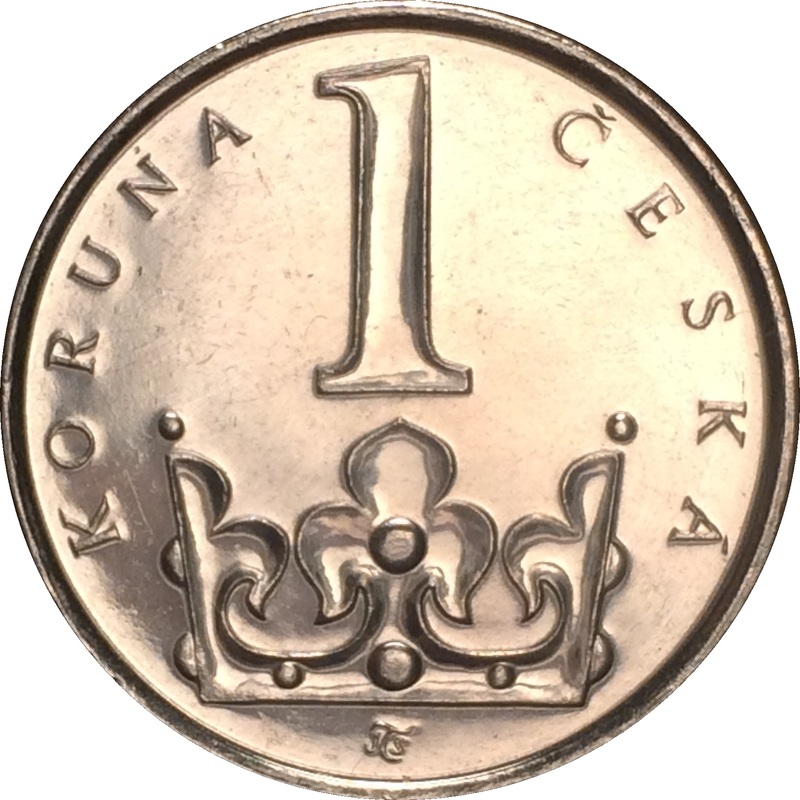 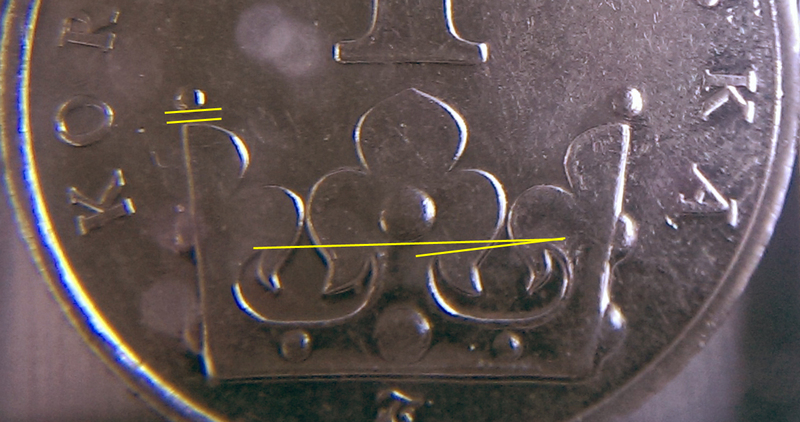 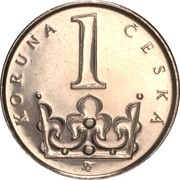 Large denomination number above a depiction of the St. Wenceslas crown. 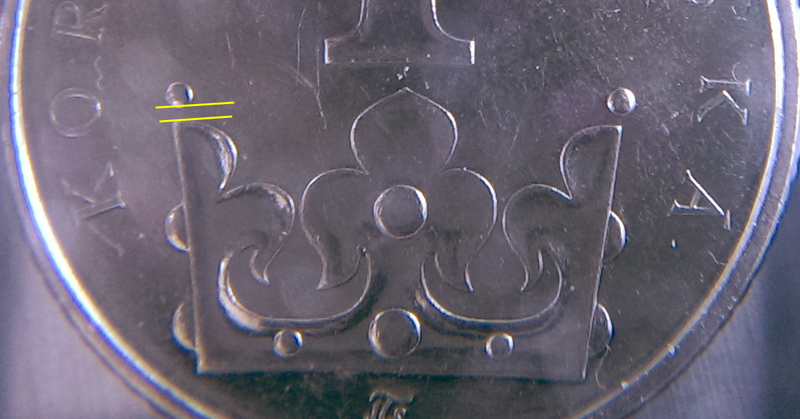 Author monogram below. 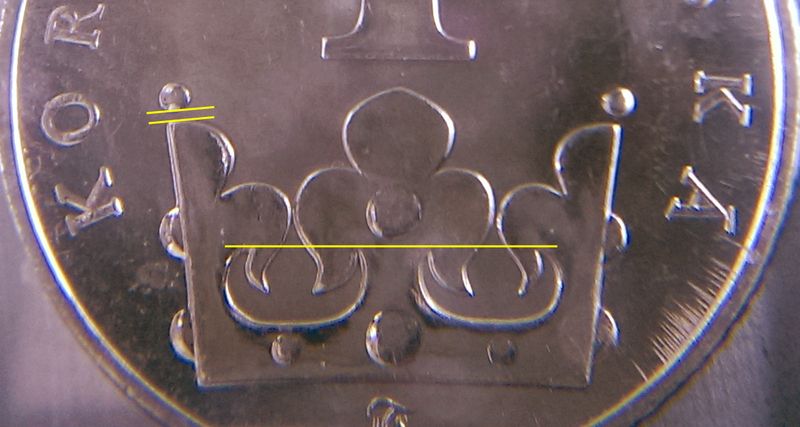 (L) Maple Leaf = Royal Canadian Mint).